The last week was such a whirlwind, but in a good way! Another Haven Conference has come and gone, and I love attending the conference. Rather than Atlanta, this year’s conference was held in iconic Southern city, Charleston, South Carolina. Even though I’ve been to Charleston before, I was so excited to return to this gorgeous, old city! 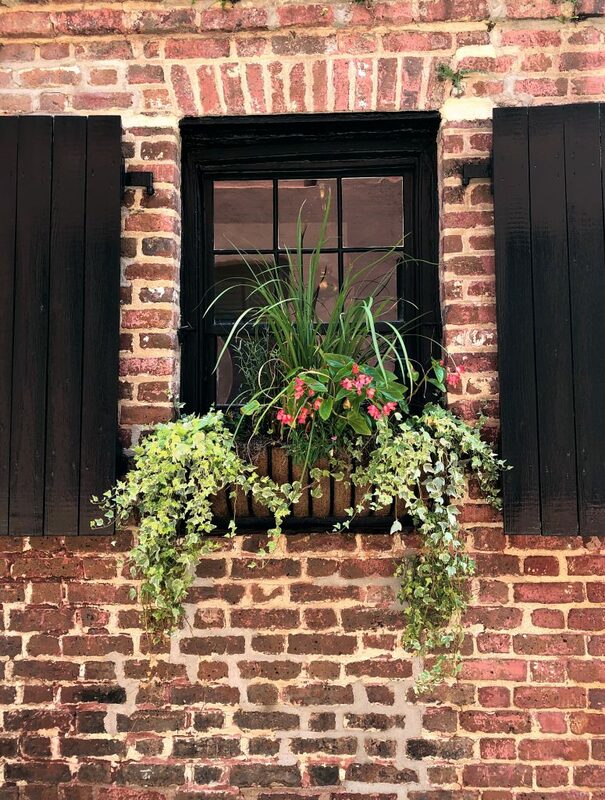 You can’t visit historic downtown Charleston and not be drawn into the amazing architecture- large wrap around porches, lush window boxes, ornate gates. There is just so much craftsmanship everywhere you look! 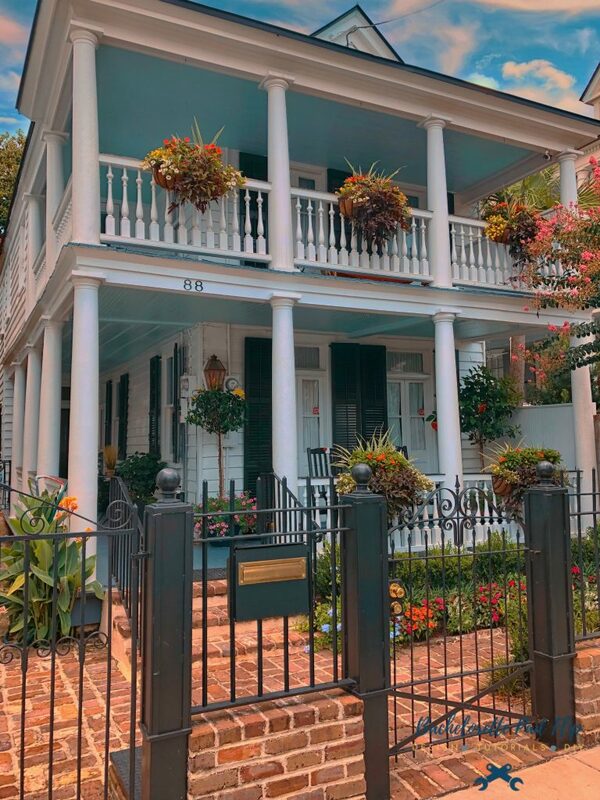 There’s just something about these old houses with large porches, insane curb appeal, and even the rockers and shutters. 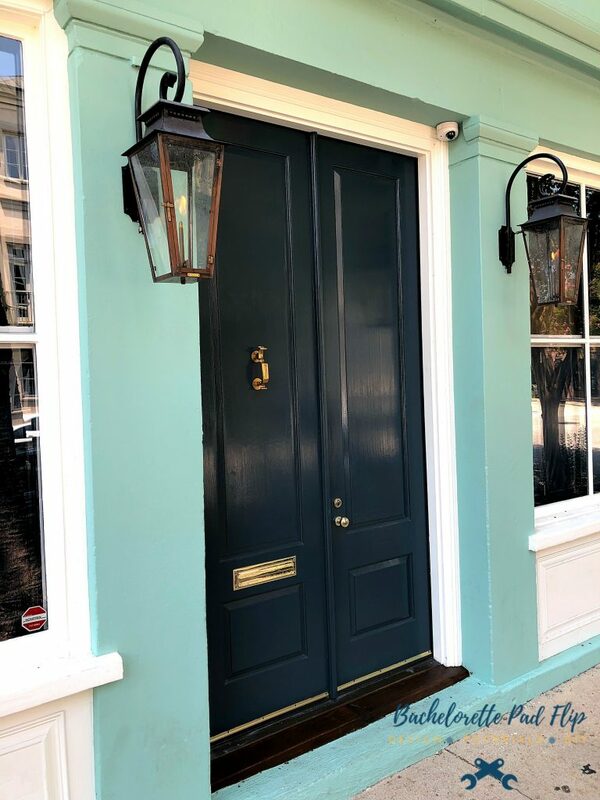 One of the common curb appeal trends in historic downtown Charleston is the Haint blue porch ceilings. Locals told me it’s supposed to ward off evil spirits. Evil spirits or not, the color is beautiful and charming! 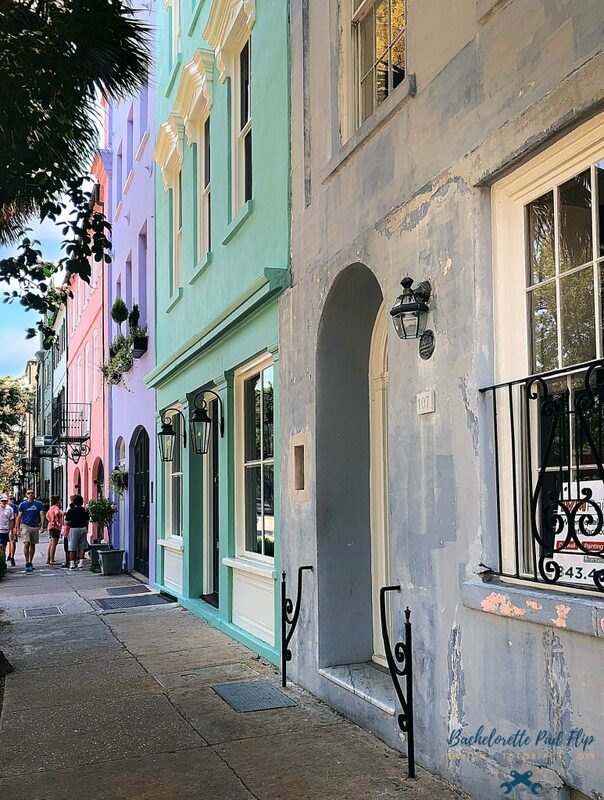 Probably the most visited place in Charleston, South Carolina is Rainbow Row. I loved strolling down Rainbow Row in historic downtown Charleston. The gas lanterns, the beautiful pastel colors, and the beautifully crafted windows are just stunning. These gorgeous homes are iconic, and I’m sure quite pricey! If you own one of these iconic homes, it does come with the very frequent tourists photographing your house! Rainbow Row gets its name because of the cheery colors of each home. The architecture of Charleston is impressive, and each home has its own pretty bow in elaborate window boxes. It’s almost as if each window box competes against its neighbors. 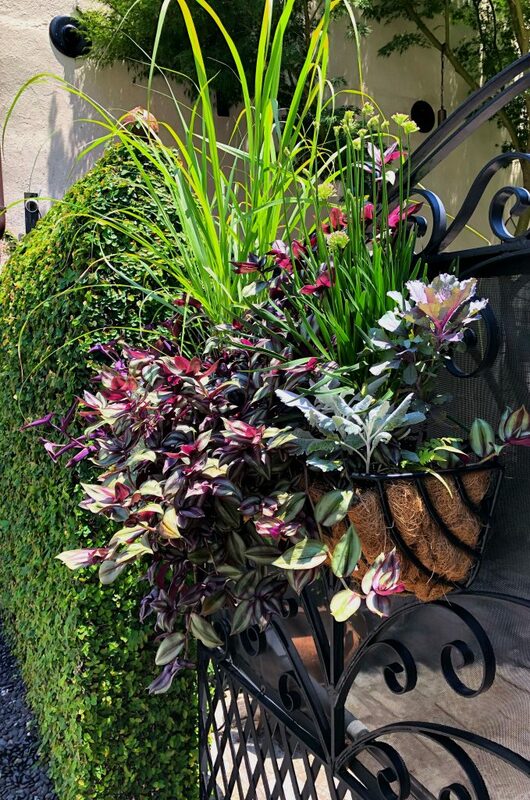 They’re stunning, and clearly a lot of effort goes into the curb appeal! I clearly do not have a green thumb, so I could never keep these gorgeous window boxes alive. But don’t you just love the charm they add to the exterior of a home? 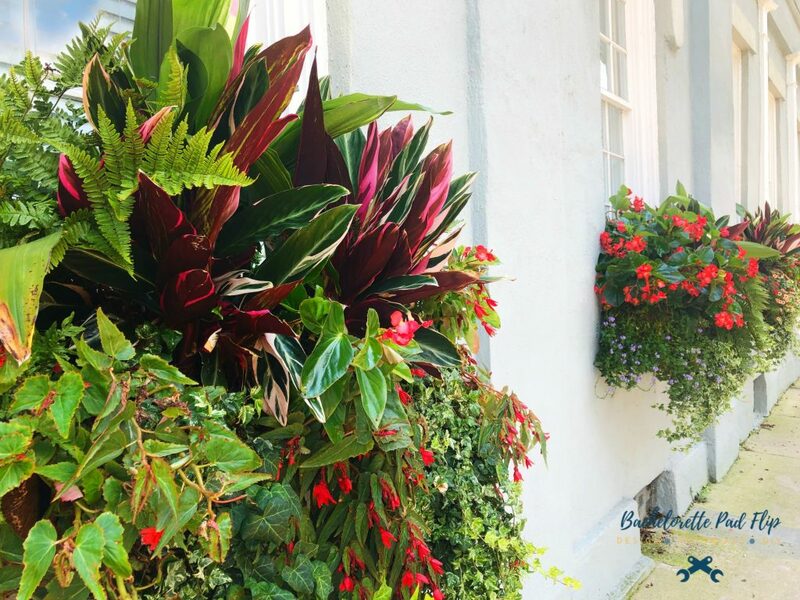 If you’re looking to add instant curb appeal to your home, copying these Charleston window boxes will certainly do the trick! One of the things that I love about Charleston, and just about any coastal city, is the vibrant colors in architecture. Rainbow Row is just a taste of the bold use of colors. It’s not unusual to see pink houses, blue ceilings, green shutters…colors everywhere! In my neck of the woods, it’s not every day you see exterior colors outside of gray or brown! Rainbow Row is probably the most photographed spot in Charleston– at least, it’s what I see the most on Pinterest! 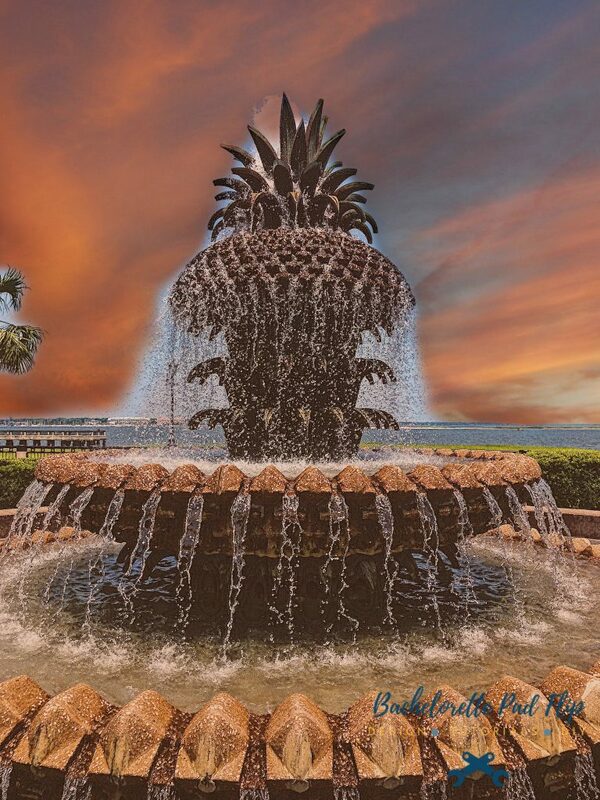 But a trip to Charleston isn’t complete without a visit to the Pineapple Fountain. Locals told me pineapples are a sign of hospitality, and they are everywhere in Charleston! 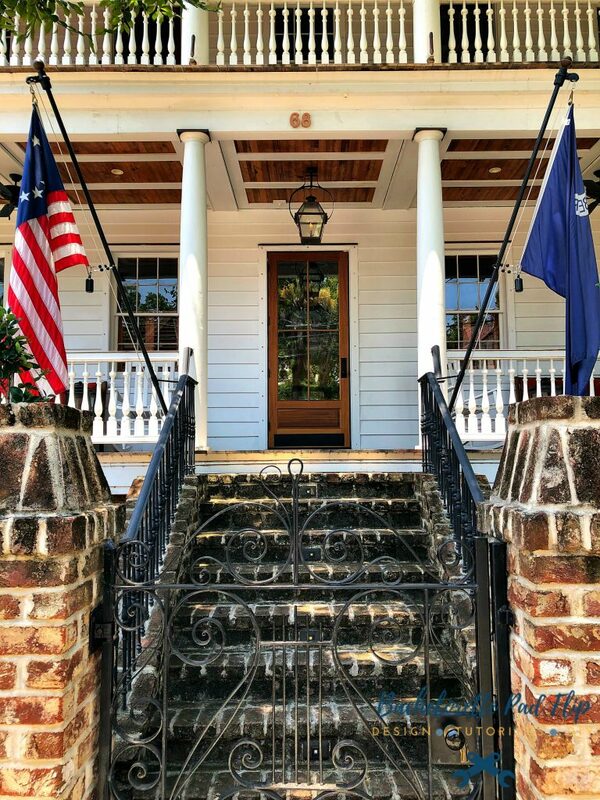 Almost every home in the historic downtown Charleston area has its own gate– each one unique and clearly crafted by hand. While watching This Old House recently, they had a segment about the Charleston gates. Each one, each piece, each style tells a story. And they’re absolutely beautiful! 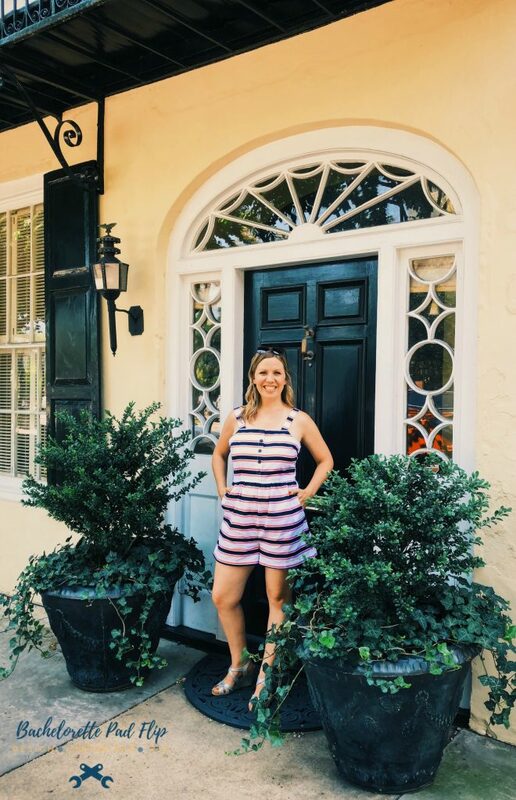 There isn’t a boring front door anywhere in downtown Charleston! The curb appeal game is strong– from landscaping, to colors, to design. It’s so beautiful to stroll the streets and see the craftsmanship and design. I absolutely fell in love with the detailed millwork on many of the homes. It’s so true– they don’t make them like they used to. Just about every front door is flanked by gas lanterns. Flickering, old gas lanterns. Could it be anymore charming? I don’t know if I can pick a favorite part about Charleston. It’s such an old, quaint city. Even the fixer uppers are charming! The culture and arts of this city are what draws tourists like me. Down each alley is a stretch of old brick homes, sprawling iron gates, and craftsmanship from eras before. The architecture and design have withstood the test of time. The classic & timeless design of each home is what makes this city so unique. This was my 2nd visit to Charleston– and probably not my last.